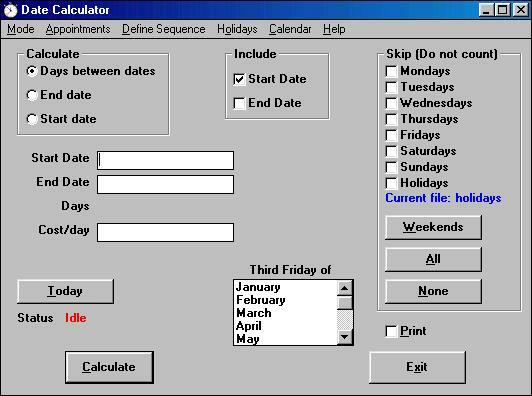 Date Calculator performs various calendar related calculations. It can display a calendar for any month of any year. Calculates the number of days between any two dates, optionally not counting certain days of the week, such as Saturday, Sunday, and user-defined holidays. It can also calculate the date X days before or after a given date. Gives days of week for any date. Includes appointment reminder.